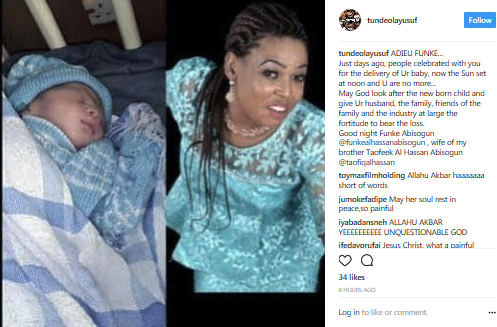 Nollywood Actress, Funke Abisogun AlHassan, who gave birth to a newborn baby a few days ago has sadly died. 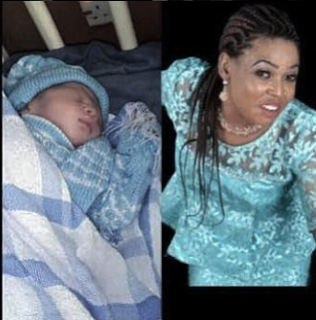 Her husband, Taofiq Alhassan announced a few days ago that she had given birth to a baby. Sadly yesterday evening, her friend announced that she had passed on. 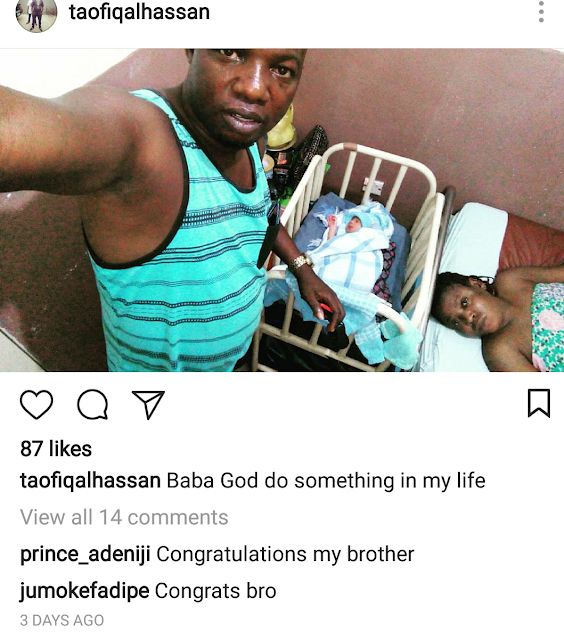 May God look after the new born child and give Ur husband, the family, friends of the family and the industry at large the fortitude to bear the loss. May her soul rest in peace. Amen!